Honda will enter WTCC using the UK-built 2012 Civic and Mugen Euro are honoured to be selected as engine partners to this exciting programme. 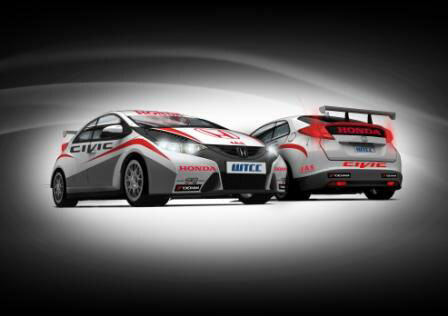 Honda have announced that the Honda Civic will race in the FIA World Touring Car Championship (WTCC). For this project, Honda has formed a joint partnership with Mugen and J.A.S. Motorsport. Mugen will manufacture a bespoke racing engine developed by Honda R&D and will maintain the engine in every race along with the team. J.A.S. Motorsport will develop the race car, using the new Honda Civic 5door produced in Honda’s manufacturing plant located in Swindon (UK). Racing has always been a fundamental element of Honda’s DNA . In the late 1950s Honda first entered the Isle of man T.T and then Formula 1 in the 1960s. The FIA WTCC is the next chapter in Honda’s on-going commitment to world motor sport and provides a perfect platform to demonstrate its racing spirit to Honda’s numerous fans around the world.